When did Mike Williams begin to become one of the state’s most successful high school boys’ basketball coaches? Ironically, it was the moment he decided to make basketball less of a priority. 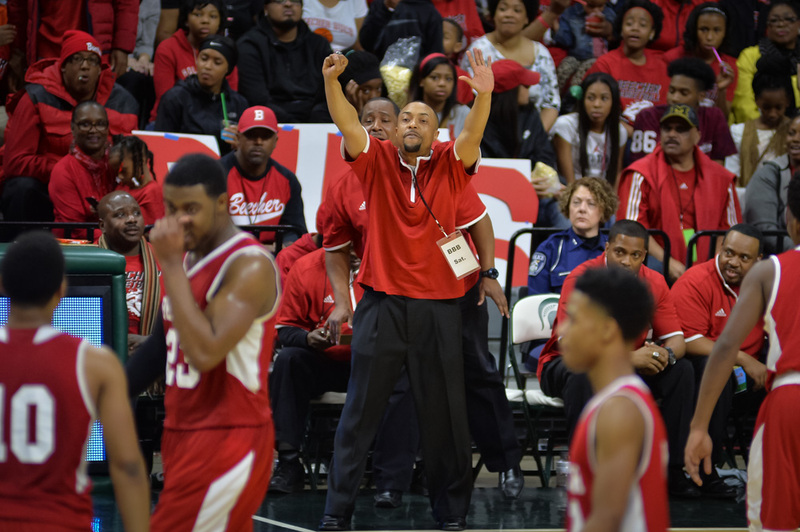 After struggling to a 3-18 record in his first season as Flint Beecher coach in 2004-05, Williams’ Buccaneers were not faring much better midway through the following season. That’s not good for somebody who was required to re-apply for their coaching position on a yearly basis. 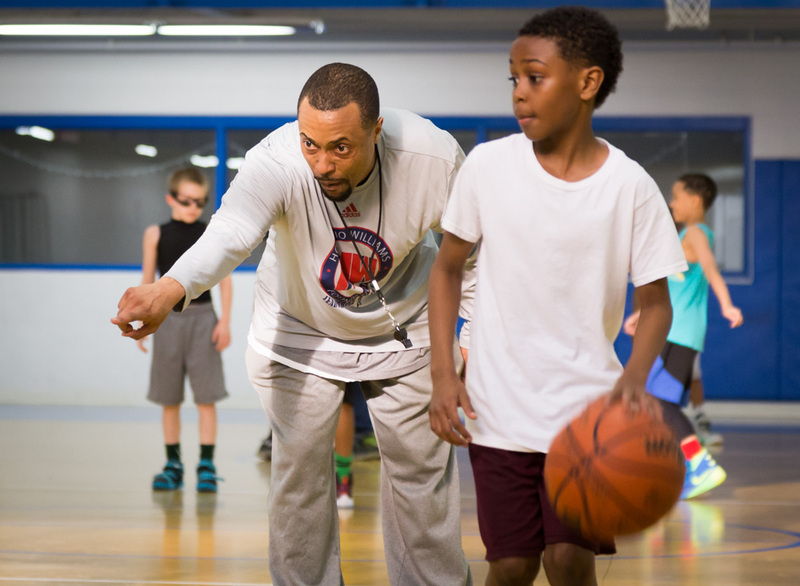 Sensing there was no guarantee he would be around beyond that season, Williams began to focus on more than helping his players become better at basketball. In one of the state’s poorest school districts, their needs were many. 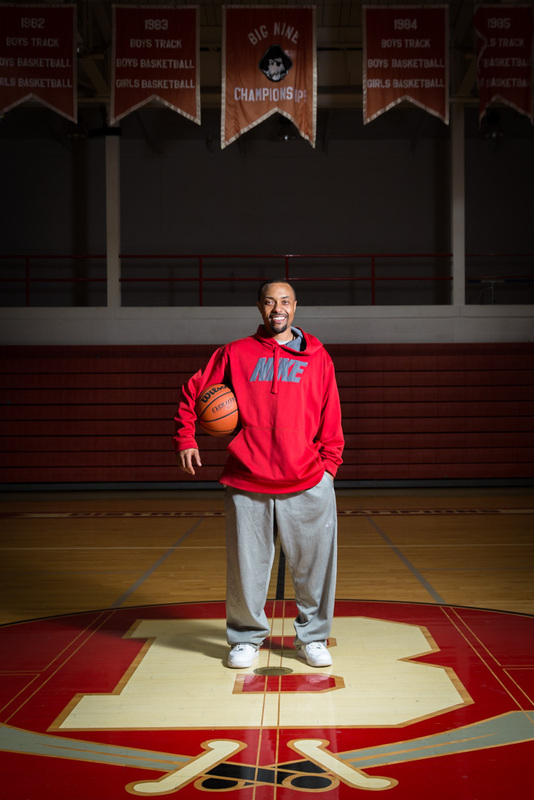 “I had gotten to know those kids well, because I was their JV coach before becoming varsity coach and it was clear that there were so many things they were dealing with off the court,” recalls Williams, also a physical education teacher at Flint Northwestern High School. “Finally, halfway through my second year, I was like, ‘to Hell with basketball,’ and told the players to let me know what I could do for them off the court, and that I would still be there for them even if I wasn’t brought back as coach.” Several players did not hesitate to take Williams up on his offer of help with homework, transportation, and being there when they needed to talk about something. “It actually led to improvement on the court,” he says. “Everything seemed to change, like their attitudes and how hard they competed. They knew I cared about them, and that motivated them to play their hearts for me and we finished with an improved record that second year [9-13]. I was brought back the next year and we took off.” And they took off quickly. Beecher began to resemble the program that had won three state and 14 regional titles between 1976-2003, going 18-6 and reaching the Class C regional final in Williams’ third season. The Bucs began a string of eight straight regional titles the next year, advancing to the 2008 Class C state championship game. 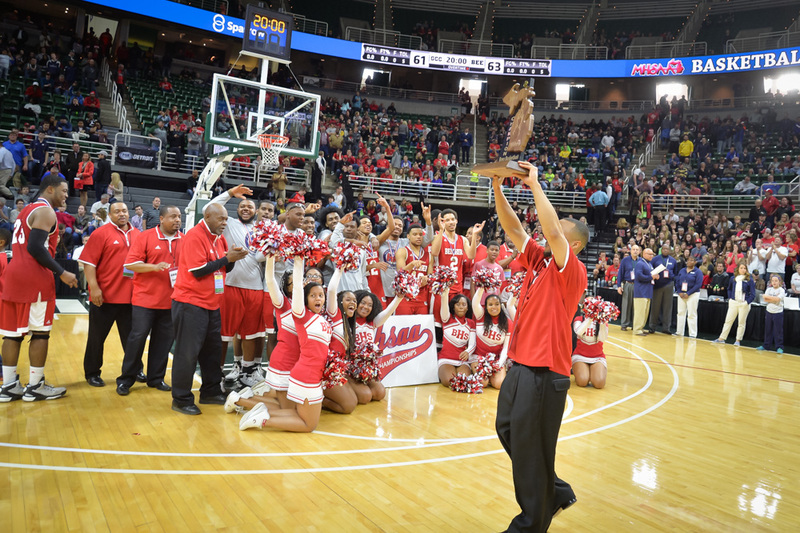 The 2011-12 squad capped an unbeaten season (28-0) with Beecher’s first state championship since 1987. More state titles followed in 2013, 2015 and 2016. “The players started believing in themselves and the program, and were not letting any outside influences tell them otherwise,” Williams says. “They were willing to be pushed to a higher level and work hard to be prepared for any situation in games. This past year was a great example of the kind of kids we have, because they only lost twice all season and found a way to win many close games in the state tournament. The journey was difficult, but that made the reward of a championship that much better. Sometimes, it’s hard to wrap my mind around the fact we’ve won four state championships in five years. 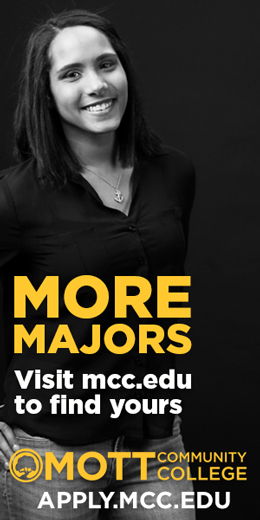 I mean, who has done that?” The list is short. In fact, in the 92-year history of the boys’ state basketball tournament, Williams is one of only three coaches who has done it. Lofton Greene did it twice, guiding River Rouge to five consecutive Class B state titles from 1961-65 and four more in a row from 1969-72. Dave Soules led Detroit East Catholic to four Class D championships between 1979 and 1983. The only other Flint-area boys’ coach with as many state titles is Jim Barclay, who led Flint Northern to Class A crowns in 1933, 1936, 1939 and 1940. Williams now boasts a 230-71 record in 12 seasons at Beecher, including 218-40 the last ten years, with four state titles, nine regional, and ten district titles. The Buccaneers have also reached the state’s final four seven times. What makes the 39-year-old Williams’ success all the more remarkable is that he has been battling Multiple Sclerosis since January of 2015. To combat MS, Williams takes medication twice a day to minimize vertigo and nausea, monitors his diet (dropping more than 20 pounds in the past year), uses vitamin supplements, drinks no alcohol, and gets more rest. Williams was told he was in early stages of MS in 2008, after he began experiencing dizziness and hearing loss in one ear, but was not really bothered by it until January of last year, when he had blurred vision one morning upon arriving at Northwestern to begin his teaching day. Williams was able to shake it off and continue his normal activities until the same symptoms resurfaced during practice. Barely able to see, Williams asked his assistants to take over while he struggled to regain his sight. 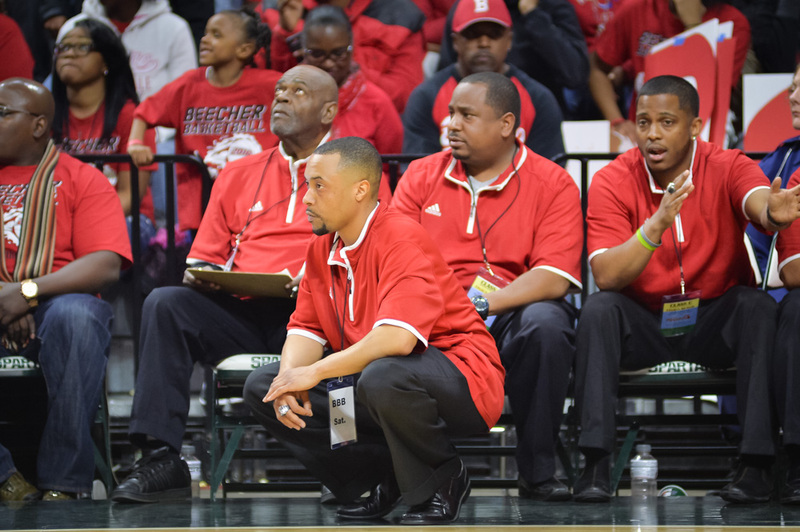 Beecher Athletic Director Courtney Hawkins and Superintendent, Dr. Josha Talison, walked into the gym and immediately noticed something was wrong. “There was no hiding it, and they told me to get to the hospital right away,” Williams recalls. Because Beecher was practicing late that night, Williams waited until morning before seeing his doctor. They began a series of tests, and Williams was then officially diagnosed with MS. While the diagnosis has barely slowed Williams down, it is part of the reason he called this year’s state championship the most satisfying one yet, because he also spent the season with his beloved grandfather Charles Williams, a major guiding influence in his life, in hospice care. 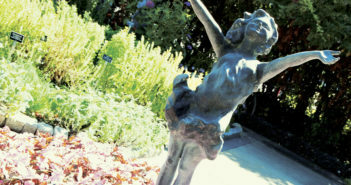 In addition, Williams continued to pursue a master’s degree in Educational Leadership from Eastern Michigan University. Indeed they did, including not allowing Grandville Calvin Christian to score in the final 74 seconds of the state championship game for a 63-61 win. Levane Blake scored the winning basket with 55.8 seconds left. In the state semifinals, Malik Ellison nailed a three-pointer at the buzzer to eliminate Detroit Loyola. The Buccaneers also erased a 13-point deficit against Southfield Christian in the regional final and outlasted rival Flint Hamady by two points in the district final. 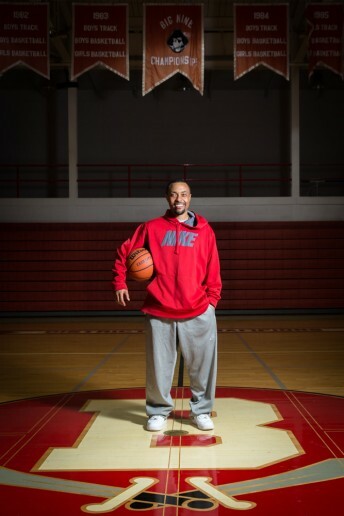 Williams, who lettered in basketball and football at Grand Blanc High School, first caught the coaching bug while attaining his undergraduate degree in Education at Ferris State. 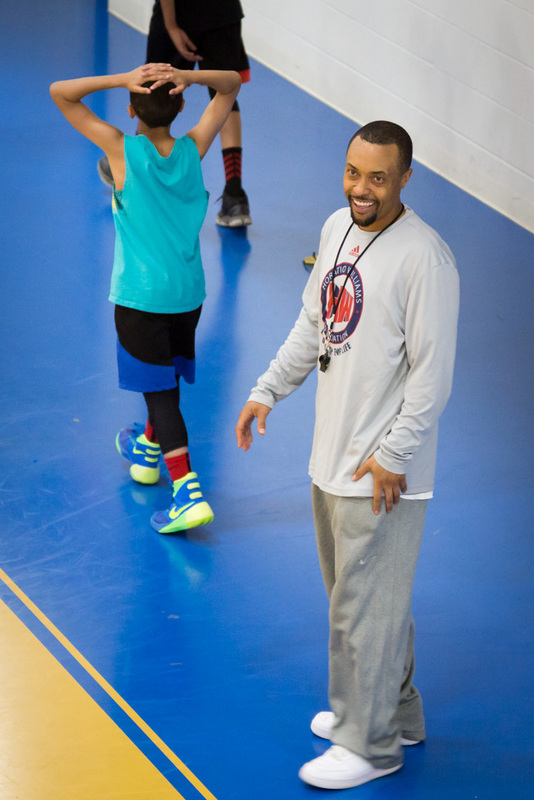 Williams did his teaching observation at Big Rapids High School and asked the coach if he could help out. 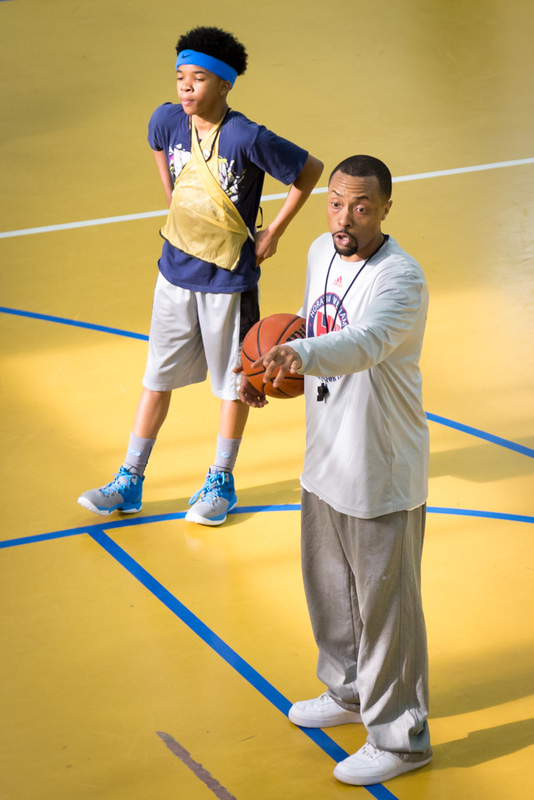 He completed his student teaching at Flushing High School and coached boys and girls basketball there, eventually becoming a varsity assistant under head coach, Tony Holliday. 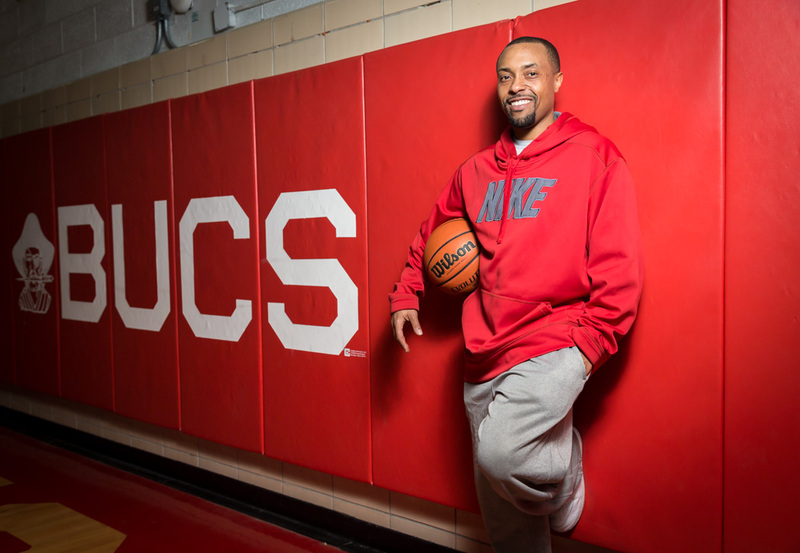 After two seasons, Williams followed Holliday to Beecher, helping the Bucs to a state title game appearance in 2003. Williams was named head coach when Holliday took an assistant coaching job at Virginia State University. Williams, who also coaches his nine-year-old son’s Amateur Athletic Union team, hopes the future brings more state titles and, eventually, a college coaching opportunity. “I would like to see what I could do at the next level and hopefully will get the opportunity; but if not, I will continue to be the best high school coach I can be,” he shares.